Natural killer T cells (NKT cells) and regulatory T cells (Treg cells) are two important immune regulatory cells which both play critical roles in asthma. Our previous experiments revealed that activation of Treg cells suppressed NKT cells in asthma. However, the possible regulatory effects and the mechanisms linking Treg cells and NKT cells remain poorly understood. The current study was designed to further investigate the regulatory effect and its possible mechanisms of Treg cells on NKT cells function, especially the distribution of NKT cells. Regulatory T cell (Treg), responder T cell (Teff) and Natural killer T cell (NKT) were isolated and purified. After Lentivirus carrying CD39 (Le-CD39) was transfected into Treg cells, the immune phenotype of Treg cells was changed and the suppressive effect of Treg cells on Teff cells with an activation of Treg cells was enhanced, marking with a high expression level of interleukin 10 (IL-10) and transforming growth factor β (TGF-β). 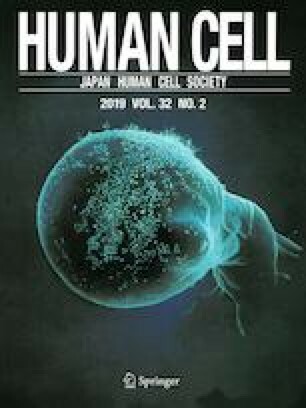 Up-regulation of CD39 expression led to lower ATP level in cell culture supernatant. To further explore its function in asthma, we introduced an ovalbumin (OVA)-induced mice model of asthma. And the data showed that up-regulation of CD39 remarkably alleviated OVA-induced hallmarks of the asthma and increased NKT cells in the spleen and peripheral blood; however, decreased NKT cells in the lung. Furthermore, up-regulation of CD39 decreased the levels of interleukin 4 (IL-4) and interferon γ (IFN-γ) in the lung of OVA-treated mice. Our results strongly suggest that Treg cells could be activated by CD39 signal transduction and then affected the distribution of NKT cells in the OVA-induced mice model of asthma. YL carried out the study and the data statistics, YL participated in study design and drafted the manuscript, WZ supervised the study, BD and QY contributed to the scientific discussion of the data. This study was financially supported by Scientific research project of Shanghai health and Family Planning Commission (no. 201640018). All animal experiments were approved by Renji Hospital, School of Medicine, Shanghai Jiao Tong University Institutional Animal Ethics Committee and were carried out according to the institutional guidelines from the Principles of Laboratory Animal Care of Renji Hospital, School of Medicine, Shanghai Jiao Tong University. The datasets supporting the conclusions of this article are included within the article. Any additional information related to this study is available from the author for correspondence upon reasonable request.